McWane International was created in 1992 to accommodate the growing demand for M&H products. This activity eventually grew into full coordination of the international sales efforts of McWane Inc.’s manufacturing across the U.S.A., Canada, Australia, China and, most recently, our new plant in Abu Dhabi. Previously those sales activities were conducted by each individual foundry. The growth of the company's international sales during the last two decades required more attention be focused outside the US, and McWane International was strengthened for this purpose. 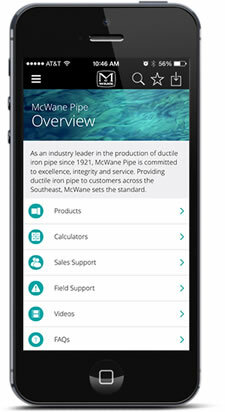 Today McWane International works as a team of 18 team members to supply waterworks, fire protection, plumbing products to Europe and Central America, as well as our new ductile iron poles. The team is active in South America, the Caribbean, the Middle East, Asia including China and the Pacific Islands.